The Higher Education Research Experiences (HERE) program at Oak Ridge National Laboratory (ORNL) provides opportunities for participation in research and related technical activities to qualified graduate students. This educational experience offers selected participants the ability to learn from world-class scientists while utilizing the unique resources of ORNL and encourages careers in the science, technology, engineering, and mathematics (STEM) and support fields. 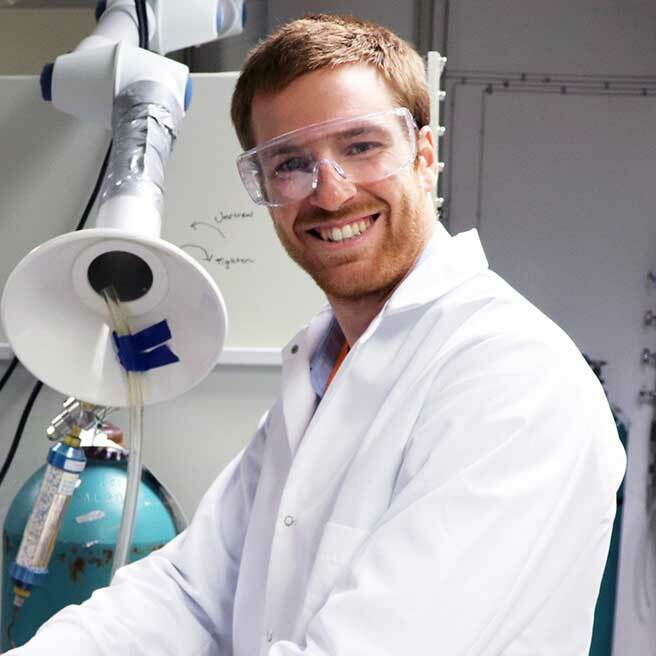 As a participant in the Higher Education Research Experiences Program at Oak Ridge National Laboratory, Matthew Mulvehill, a graduate student from Columbia University, studied an intermediate step in an electrochemical process that converts carbon dioxide into ethanol.